The U.S. Government, through the U.S. Agency for International Development (USAID), and partner organization Samoa Umbrella for Non-Governmental Organisations, Inc. (S.U.N.G.O.) 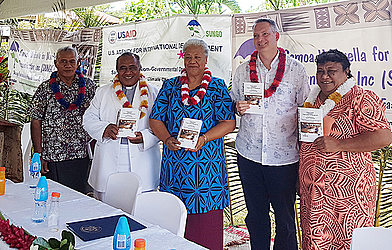 launched the “Climate Change Adaptation Project Design and Management Handbook” in Apia. 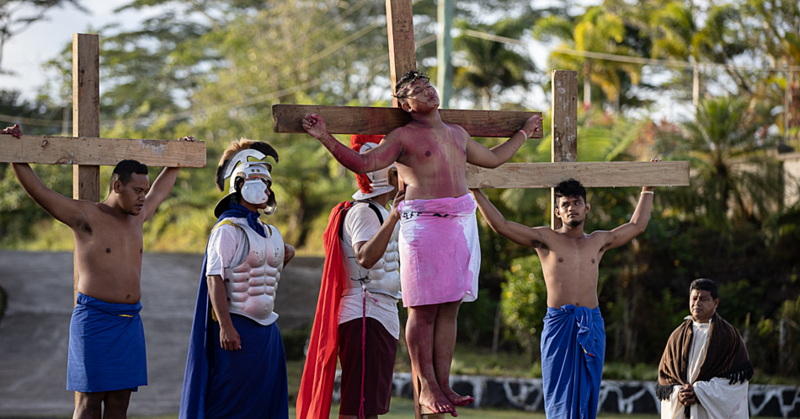 This is the culmination of a two-year project that trained communities across the islands of Upolu and Savaii to design and run resilience projects so they can then fully own their resilience initiatives and processes. The event brought together government agencies, civil society organizations, stakeholders and partner communities who have supported the project in its two years of implementation. Deputy Prime Minister of Samoa Fiame Naomi Mata’afa underscored in her speech that the initiative complements the government’s national climate adaptation strategy that focuses on building the resilience of coastal resources and communities. “The American people value their close friendship with the people of the Pacific region, a friendship that is based on trust and mutual interests. This initiative builds upon our strong ties as we promote a stable and prosperous future for the people of Samoa,” said U.S. Embassy Charge d’Affaires Antone Greubel at the launch. Since the launch of the Strengthening Communities’ Climate Change Adaptation project on 11th July 2016, S.U.N.G.O. has trained 494 community members in designing and implementing resilience projects using a module that was especially developed for Samoa. 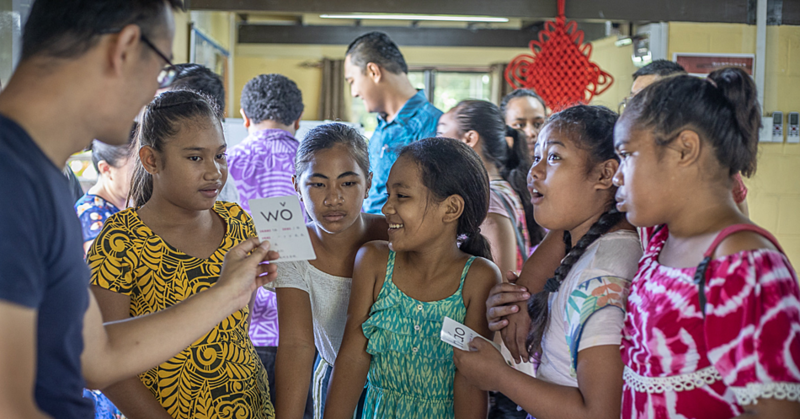 It is this tried-and-tested module that the project developed into the handbook to serve as a reference resource to benefit more Samoan communities. S.U.N.G.O. 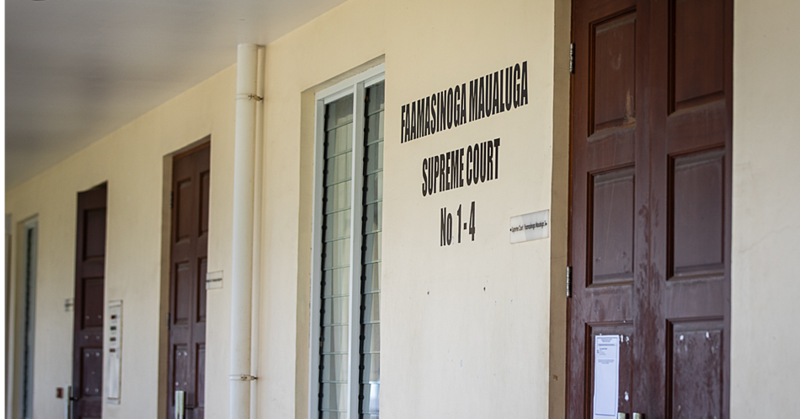 has conducted project design and management trainings in eight locations across Upolu and Savaii islands. The five-day training included modules on climate change, planning a climate adaptation project, project monitoring and supervision, project financial management, and project reporting. The training has been focused on providing the skills and knowledge required to be able to plan projects, apply for funding, and implement and monitor the projects. Following the completion of the initial training, a series of follow-up workshops aimed at providing more individualized assistance in planning their projects were held from July to August 2018. Participants were encouraged to utilize the knowledge and skills they acquired to develop proposals for donor agencies that might lead to funding for resilience projects in their villages. To date, previous trainees have helped start up and implement 17 projects. U.S.A.I.D., through the Pacific-American Climate Fund, is partnering with 12 Pacific Island countries to reduce long-term vulnerabilities associated with climate change. PACAM awards grants to civil society organizations in support of climate change adaptation measures which are mutually beneficial to both direct beneficiaries and the environment, such as livelihoods enhancement, improved health, food security, disaster risk reduction, and sustainable natural resources management.